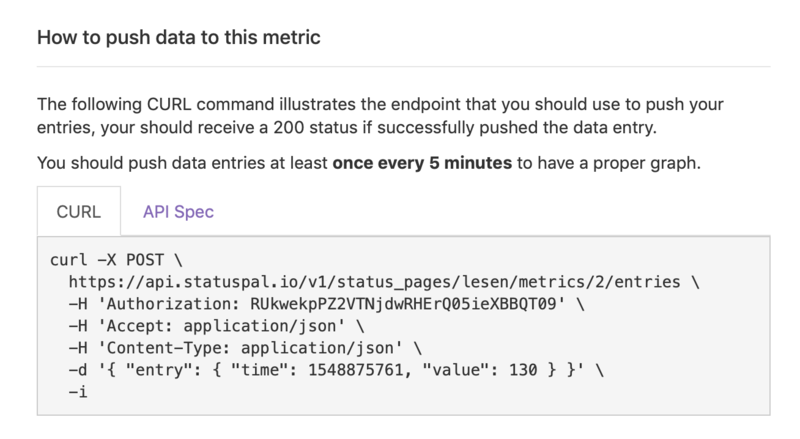 In this tutorial we well guide through how to configure a new custom metric in your status page and how to push data entries through our developer friendly API. 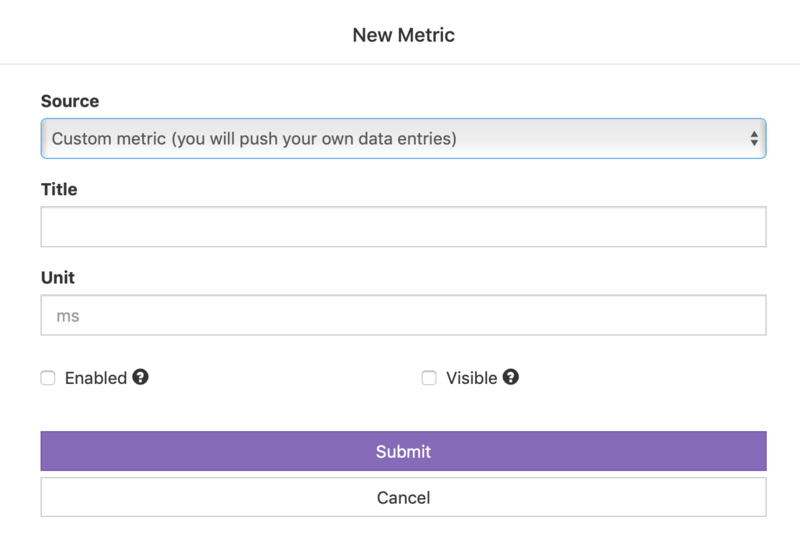 In your status page's dashboard click on "Metrics", and the on "New Metric", then select "Custom Metric" from the Source select box. Enter a descriptive Title (that will be displayed at the top of the chart) and a Unit (that will be displayed next to the entry values and the average), check Enabled and Visible and click Submit. You basically push to fields in each entry, the time (UNIX timestamp) and the value (decimal value), you should be able to see the entry points as you push them, try with the CURL command above to test the custom metric.